JACKSON, Wyo. — Wolves in Jackson Hole last week were doing what wolves do best: chasing bighorn sheep, pronghorn and elk. In other words, wolves are doing well on this, the 20th anniversary of their reintroduction of wolves into what, in the United States, is called the Northern Rockies. The reintroductions began in January 1995 when 14 wolves from Canada were released in Yellowstone National Park’s Lamar Valley. They were supplemented by later releases in Yellowstone and central Idaho. From those first few dozen the population grew to 1,749 wolves in 2011, though the total has now fallen back to 1,592, reports Jackson Hole News&Guide’s Mike Koshmrl. 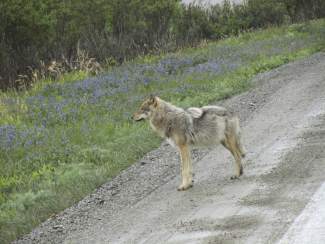 Koshmrl talked with Ed Bangs, now retired, who oversaw the wolf reintroduction for the U.S. Fish and Wildlife Service. He described them as big, bold, adaptable and resilient predators. The 1995 releases came with great controversy. 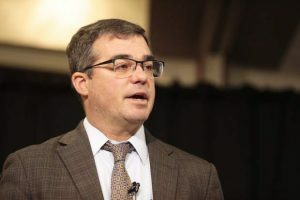 Renee Askins, director of the Wolf Fund, an advocacy group, said that even after the federal government put out a plan for “nonessential experimental populations” in Yellowstone and Idaho, prospects looked grim. “Western agriculture had been in control of the politics of the West for so long that no one thought there was a chance in hell it would ever fly,” said Askins. Bangs thinks the controversy has generally died down. “I think the average person is kind of over it,” he said. 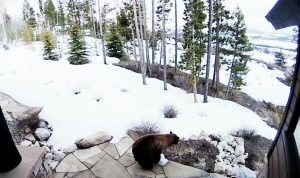 BANFF, Alberta – Last spring, two sow grizzlies emerged from hibernation in Banff National Park, one of them from a den that had forced Lake Louise to close a portion of the ski mountain. The two sows each had two sets of cubs. None of the cubs survived. All are believed to have been killed by large male grizzlies. Wildlife experts tell the Rocky Mountain Outlook that the numbers illustrate just how hard it is for bears to survive to breeding age. If older male grizzlies don’t get the cubs, trains and sometimes cars also do. Several grizzlies were killed by each type of transportation in Banff during recent years. WHISTLER, B.C. – Can technology slash the number of avalanche deaths occurring in the backcountry? There’s always hope, and the newest device is impressive. The AvaTech SP1, developed by three students at the Massachusetts Institute of Technology, uses sensing technology to measure snow hardness. By plunging a probe into the snow, the penetrometer measures the varying hardness of each layer and instantly draws a graphical snow profile on its LCD screen. This compares with the traditional laborious method of digging a snow pit and measuring the hardness of layers by hand. Sam Whittlemore, one of the students, tells Pique Newsmagazine that the SP1 allows a guide to take dozens of readings a day. “We’re excited about it because it’s an objective measurement and it lets you gather a lot more data very quickly,” he said. It is, however, far from the “second coming “ for avalanche safety, he said. It’s expensive, at $2,249, and requires expertise. And he notes that it only measures hardness, not stability. Karl Klassen, the public avalanche warning service manager for Avalanche Canada, is skeptical. “There’s a saying that data is not information, information doesn’t lead to knowledge, and knowledge doesn’t necessarily lead to wisdom,” he said. Too, there’s the matter of remembering what you already know. “So often, we get caught up in the moment. You see that untracked powder slope. You want to make those turns so bad that you can almost go into this tunnel vision,” Mike Douglas, who made the documentary movie “Snowman,” said. SILVERTON, Colo. — Silverton has been described as paradise, and perhaps it is. It’s a town of a little more than 600 residents surrounded by mountains on all sides, with just a narrow canyon carved by the Animas River. But it’s a place where cabin fever seems about to erupt at any time. The Denver Post reports of a feud that has become so intense during the last year that the interim town administrator last week locked town offices, to prevent shouting matches. The argument has some thing to do with whether the public works director vindictively plowed walls of snow around the parked vehicles of residents. But the editor and publisher of the local paper, Mark Esper, of the Silverton Standard & the Miner, said it’s embarrassing. The town’s postmistress said that while Silverton has had its arguments before, none have ever been so heated as this one. CARBONDALE, Colo. — What is justice? Two highway deaths in the Roaring Fork Valley last year call up that question. The Aspen Daily News says in the first case, an 89-year-old man strayed into ongoing traffic and killed a 53-year-old man on a motorcycle. He will not be charged, however, because the Colorado Mental Health Institute found the man not competent to understand the judicial proceedings. As such, the family of the victim cannot seek restitution, at least not through criminal proceedings. In the second case, a 47-year-old woman drifted into oncoming traffic on the same highway and caused a collision that killed a 21-year-old woman. Her parents seek restitution. They say that in preparing for a career in an engineering-related field their daughter stood to make at least $11.4 million during her lifetime. Finally, there’s the case of a Carbondale woman charged with attempted murder. Prosecutors say the 33-year-old woman served her two daughters milkshakes laced with rat poison. She has been deemed competent to stand trial. The woman also drank the milkshake. She told an investigator while still in the hospital that she poisoned her kids because she wanted them to die along with her, and that she would rather they be dead than live with their father in Mexico. ASPEN — In the 1990s, environmental advocates argued that downhill skiing was really about real estate development. We haven’t heard that argument very often of late, but then consider what the Aspen Skiing Co. has been up to. The Aspen Daily News reports that the ski area operator for the last year has made a portion of the ski area available for the exclusive use of the ski school as well as clients of a real estate office that has a sponsorship arrangement. 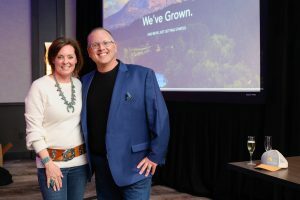 Coldwell Banker Mason Morse, perhaps Aspen’s largest firm, has paid to offer the run as an amenity to clients and potential clients. Not much public access has been lost, notes the Daily News, as the run had previously been used for a NASTAR course. Ski School clients are loving the semi-private terrain, said Karim Souki, the vice president of development for the real estate firm. 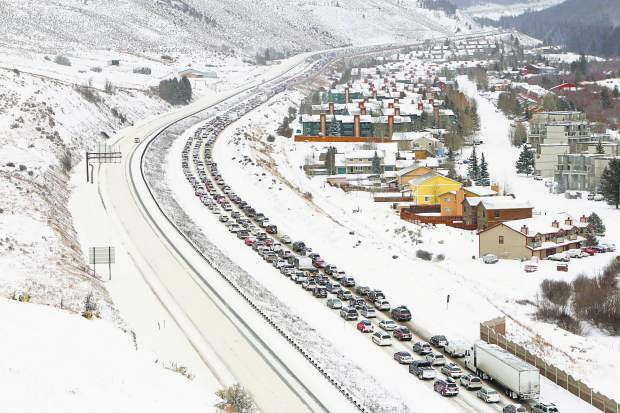 Souki said there seems to be no fuss in Aspen about the added privatization of the ski terrain. While having a great deal of private land, the ski area is partly on national forest land. The operating principle is that the national forest is to be available for the recreational pleasure of the general public. Other ski areas on national forest land also offer deals for first-run privileges. ASPEN — The 1 percent continues to feel comfortable, as evident in real estate sales this year in Aspen. The Aspen Times reports five sales of at least $10 million in Pitkin County through mid-January. Among the most recent is a 4,415-square-foot penthouse in downtown Aspen that sold for $13.2 million. That’s nearly $3,000 per square foot, not quite as much as a penthouse in downtown that sold in November for $3,100 a square foot.